At Video Exploration camp, campers filmed and edited several video projects including an interview and a movie trailer. The students took turns editing and shooting for their projects, which turned out really well. The camp provided everyone with a solid foundation for using video for their own personal projects in the future. 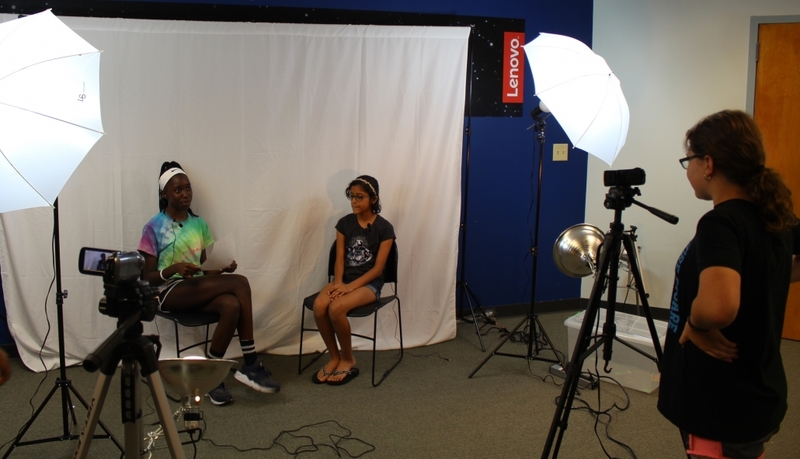 Campers worked in groups to create a mock interview, during which they learned how to use lighting, external microphones, and multiple camera angles. Campers used storyboard techniques to organize and order their shots for another group project, a movie trailer. 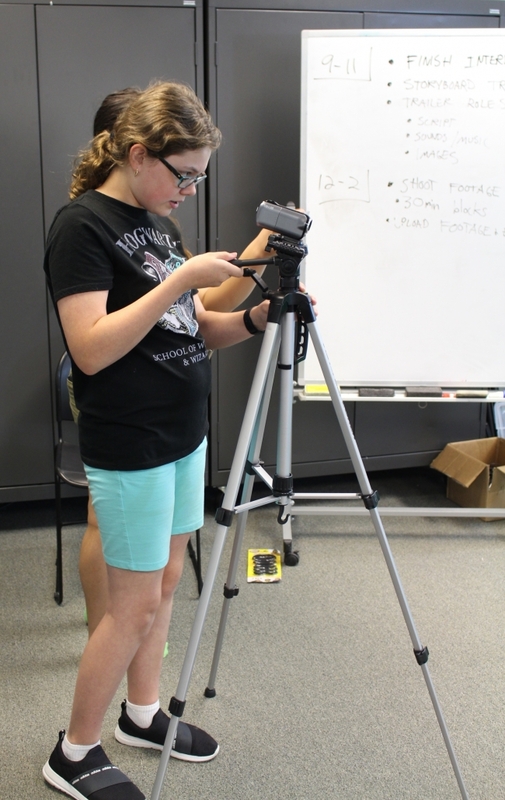 They prepared scripts, found or created sound effects, voiceovers, and soundtracks, and found photo backgrounds to use as their green-screened ‘backdrops.’ Campers got a lot of hands-on time with a web-based video editor called WeVideo. We covered technical aspects such as trimming, multi-tracking, transitions, sound effects and foley, audio levels, and greenscreen compositing. Space is still available in the August 13-17 session of Video Exploration Camp (for grades 6-8). Use code AUGUST20 to get $20 off your registration. Register here. Inset photo: A student records a scene. Top photo: Interview filming in progress.